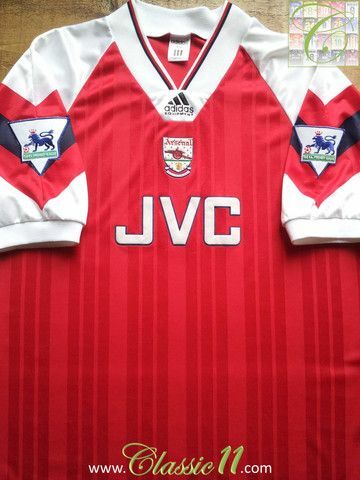 Last July, we did an Arsenal Fantasy Kit Friday which imagined how things might have been if they had stayed with adidas in 1994. On foot of that, Anton Karlsson took it a step further and wondered how the Gunners might have looked in the style of kit used by Spain at the 1998 World Cup. 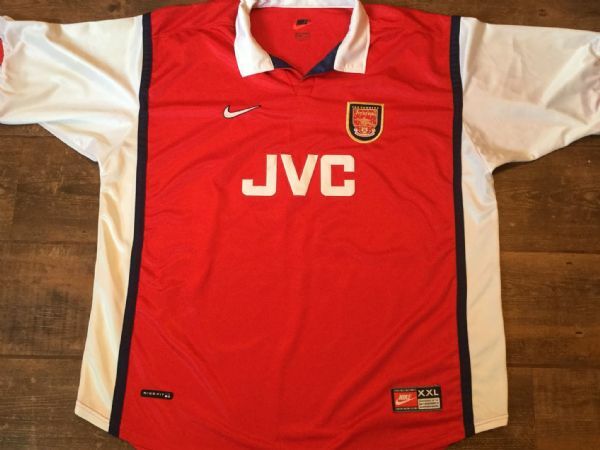 It’s a design which works fairly well with Arsenal – some white-sleeve purists may have misgivings, but it’s an evolution of the 1992-94 shirt – and the real Nike kit of 1998 had white side panels too. The Spain shirt had a stylised federation logo below the neck, so we substituted that with the classic Arsenal art deco crest. The away shirt follows the same pattern, but we opted against full navy sleeves – Nike had done this in 1996-97 but the 1997-99 away had a navy hoop instead. For Spain and France in 1998, adidas coloured the side panels on the shorts and doing this for Arsenal pays homage to the classic 1988-91 style.